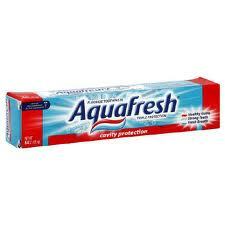 Get a $1 off Aquafresh toothpaste when using this coupon. Just print and use. Enjoy other savings with $.50 off Aquafresh training first toothbrushes for children learning to brush and $7 off White Trays. Try the new “Aquafresh Extra Clean” and different varieties of whitening toothpaste with printable coupons.